The Nordstrom Anniversary Sale is going strong, and while I know every blogger under the sun shares their favorites (…see why that is by the way in my post here) i decided to share mine as well – because I hope to provide you with something you don’t get from other blogs. 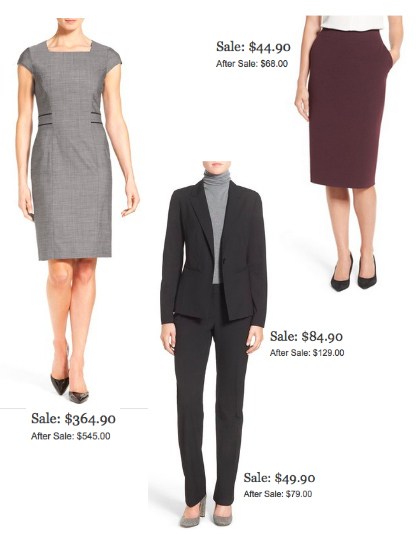 I have rounded-up only my wear-to-work favorites from the #NSale. I haven’t seen any other collages or round-ups of items that are specifically for working women, so hopefully you enjoy my picks! I have ordered the CeCe tweed suit myself and can’t wait for it to arrive, and of course to share it with you all! Reminder: Use EBates!! If you have been following LLB for a while you probably recall me telling you about EBates – an incredible program that gets you cash back on your purchases. It is free to sign up and you simply go to the store you want to shop at via the EBates website (in this case, Nordstrom!) and you get CASH BACK on all of your purchases! The current rate for Nordstrom is 6% cash back! I received, therefore, a good chunk of cash back on my purchase and I want you to do so as well! Sign up for EBates here if you haven’t already! Now, I’ve got a crazy hectic court day ahead of me, so I better get to work. 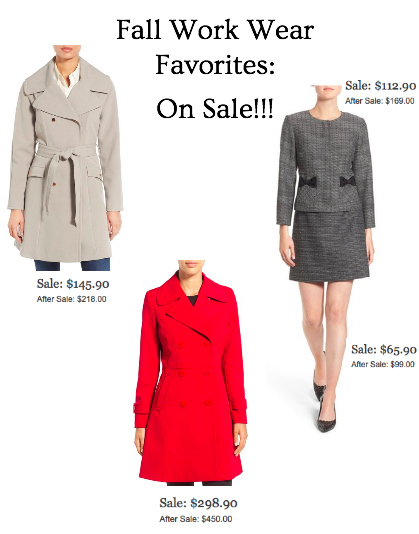 Have a great day everyone and let me know what you think of my NSale picks! Wednesday Wants – Sale Items! That red coat looks so pretty! Doesn't it?! And its rain proof so it's super practical! I love the trench coat and the red coat too.